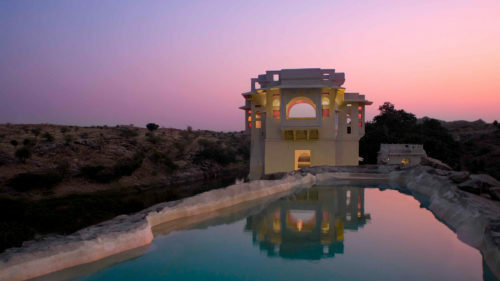 Located 2.5 hours from Jodhpur, Lakshman Sagar was built in the 19th Century as a hunting lodge for the Thakur of Raipur, Lakshman Sagar Ji. This 32-acre estate has been sensitively developed to offer visitors a moment to rest, recharge and explore the local village culture, history and wildlife of the area. 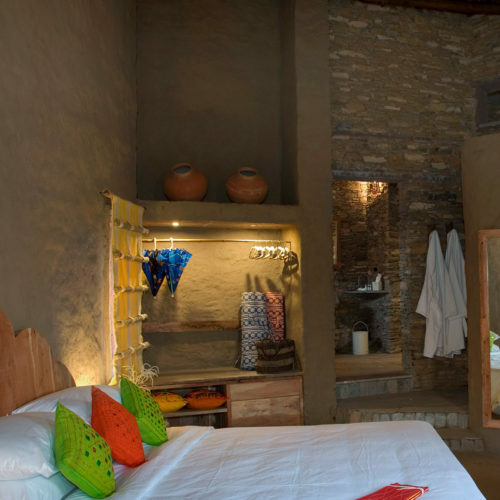 The property comprises the original Zenana and Mardana living quarters, which open onto a lake surrounded by 12 newly built cottages, each featuring a separate bedroom, rain-shower bathroom, living space with traditional fireplaces and private plunge pool with lake views. The Zenana and Mardana Wings serve as communal living and dining spaces and offer elevated views of the lake and surrounding agricultural land. Living areas are appointed with day beds and 'Shisha' pipes, antique writing desks and a collection of classic literature. A telescope is positioned on the roof terrace of the Mardana Wing for stargazing. At the Zenana Wing, guests can relax by a fountain courtyard and take up knitting with hot pink wool and needles provided. A 60 ft long swimming pool has been carved from the natural rock, with panoramic views of the estate. A sundeck by the dam also offers areas for respite. 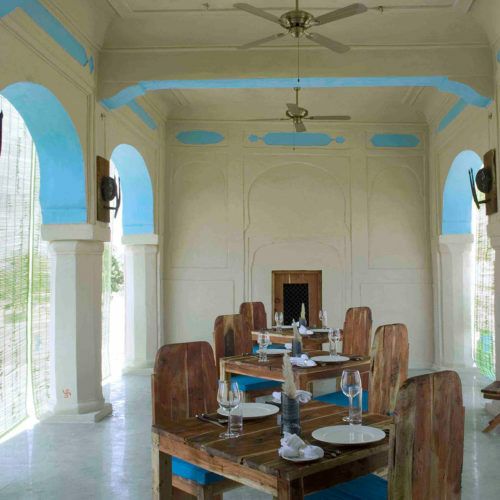 Guests will dine on seasonal organic produce, harvested onsite and sample traditional Rajasthan cuisine including the traditional hunting recipes of the Raipur Family.